Puoi incontrarmi al tuo arrivo per darti le chiavi e guidarti verso la casa. Dato che sono cresciuto a Nafplio, posso darti tutte le informazioni sui dintorni e su cosa puoi fare durante il tuo soggiorno. Generalmente cerco di rendere il soggiorno dei miei ospiti il più rilassante e pacifico possibile, quindi vengo in casa solo quando viene richiesto o permesso. Gli ospiti possono sempre raggiungermi tramite telefono o e-mail. Casa molto bella, accoglienza ottima, abbiamo trovato anche prodotti necessari per la casa. Tutto positivo:casa con vasto spazio, ottima accoglienza, tutto funzionante e disposto in modo razionale, abbiamo trovato anche prodotti necessari spesa r la pulizia e la cucina. Unico neo:la necessità di utilizzare l'auto per spiaggia, spesa, bar e ristoranti. Nous avons passé un excellent séjour dans "notre petite maison de Nauplie". Maison très agréable, beau jardin cloturé, pergolas pour manger dehors mais à l'abri. Notre hôte Danai était charmante et nous a fait le plaisir de nombreuses petites attentions pendant notre séjour (oranges, confitures, cakes, oeufs frais de la ferme). Je renseigne cette adresse sans hésiter et si nous retournons dans la région, nous reviendrons là! Merci pour tout! We stay at the house for a week. The location of the house is comfortable, only few moments drive from the exciting city of Nafplio. Its surrounding is beautiful and peaceful. The house is well equipped with everything needed for such stay. The welcome from the hosting family was warm and generous. they help us with every thing we ask. We enjoy the place very much. Property is very clean and well equipped and pleasant to be in. 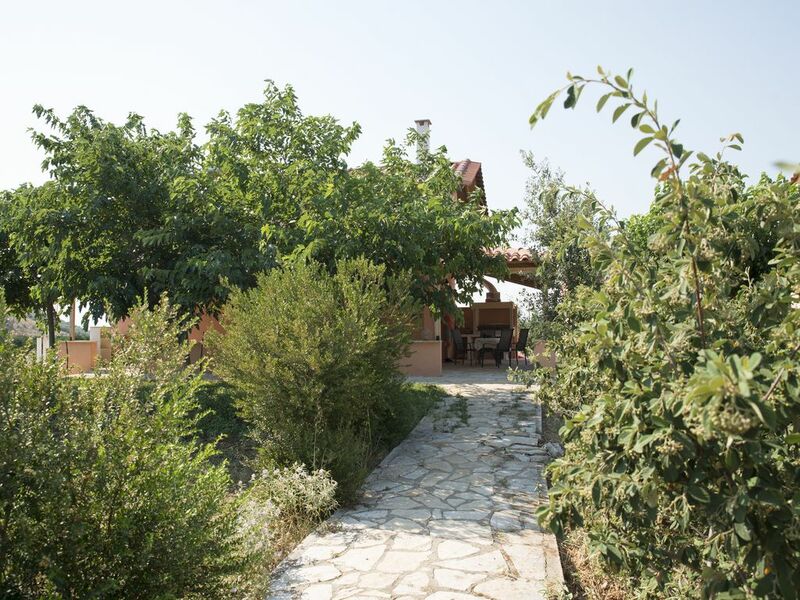 Great location - close to Nafplio and supermarkets and to the historical sites. The host Danai was perfect , she made sure we were settled in ok and was on hand to provide any information we needed she even organised a trip to a local olive factory and provided us samples of the local produce. Lovely, peaceful place with lots of outdoor space. Had a very relaxing week staying here. It was a great base for the ancient sites we wanted to visit and is really close to Nafplio. The houses have lots of outdoor space which makes them private and quiet which was important to us. It was very clean and spacious inside. If you enjoy your privacy and like to have your own place I would highly recommend it. Danai was really helpful and we enjoyed some lovely treats from the farm and her mum’s cake. I would also recommend the tour of the Olive Oil factory, Melas. I just wish we’d had more time in the area. This was the quiet break we needed after staying in downtown Athens. 10 minutes from Nafplion, it is close to everything we wanted to see. Highly recommend this for a relaxing retreat next to an olive orchard! And chickens and bunnies. And pomegranates. And the greatest three dogs that are friendly. Durante il vostro soggiorno, potrete visitare il centro storico di Nauplia, visitare Palamidi e Bourtzi e fare una sosta in un bar tradizionale nel centro. (5 km di distanza dalla casa). Puoi provare un caffè o assaggiare una crepe al caffè Sokaki e puoi gustare ottimo cibo greco al ristorante Aiolos, meze al ristorante Noulis o gustoso pesce al ristorante Savouras.